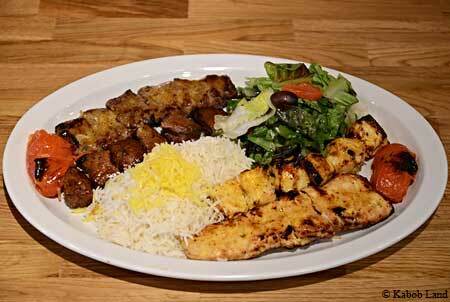 Kabob Land delivers healthy, tasty Middle Eastern cuisine in Buckhead. : This bright, friendly establishment isn’t so much an atmosphere emporium, but does offer a tasty and reasonably priced healthy meal, all the way to 4 a.m. on weekends. While a mezze platter is a good starter, especially if dining with friends, solo guests will want to note the muhammara, a dish of pomegranate and walnuts that's positively addictive. Use the pita bread to scoop up every last bit. More familiar hummus and baba ghanouj (roasted eggplant, tahini, olive oil and garlic) are well-executed. Kebabs may be ordered wrapped in pita bread or as a plate with basmati rice (or fries) and salad. We suggest the lamb and the salmon (plate only), which comes just medium rare. Chicken barg was a bit dry, but showed lovely flavor. A tiny piece of house-made baklava for dessert is satisfying. Get the Turkish coffee. Come back for hookah on the patio.